Hollis JohnsonMcDonald’s and Wendy’s signature burgers. 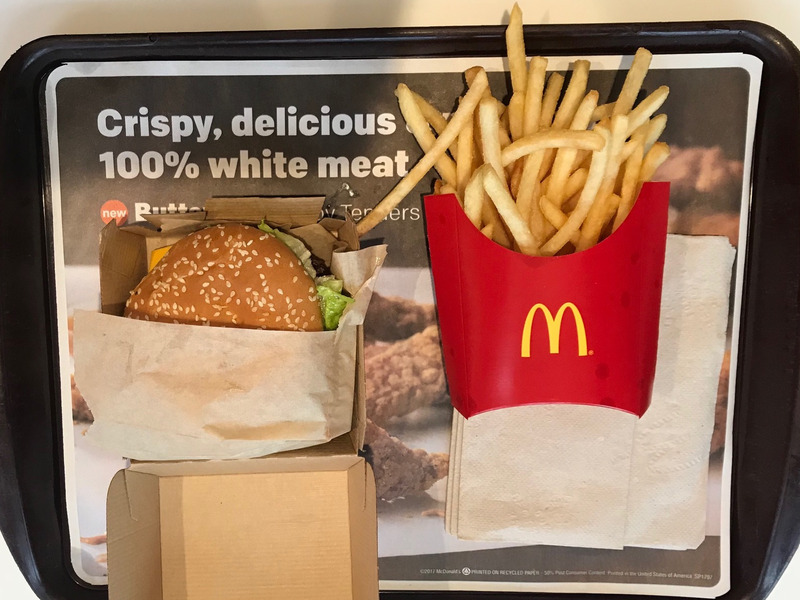 McDonald’s announced on Monday that it had completed its rollout of fresh beef in its Quarter Pounders at all US locations. Soon after the change was announced in March, Wendy’s, long the fresh-beef fast-food king, shot back on Twitter, slamming its fast-food rival. 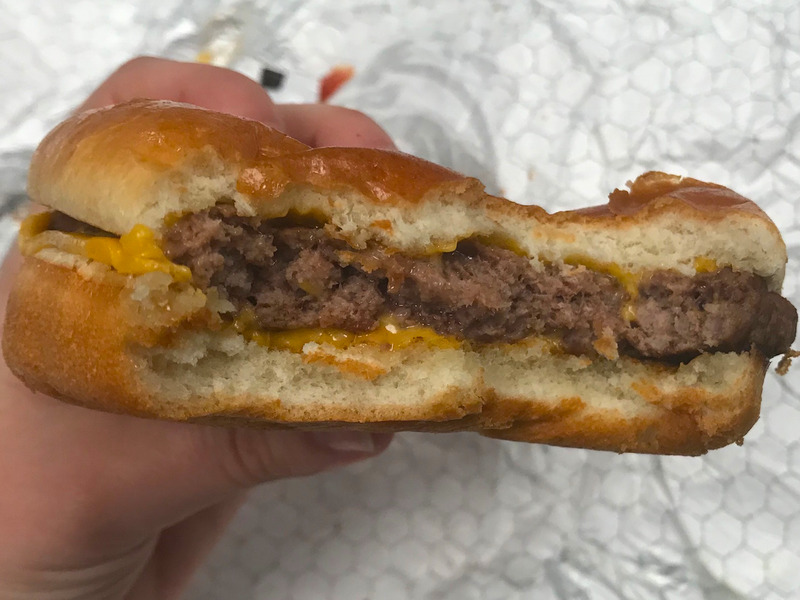 We tried McDonald’s new fresh-beef burger and Wendy’s “fresh, never frozen” classic – and found that Wendy’s reigned supreme. 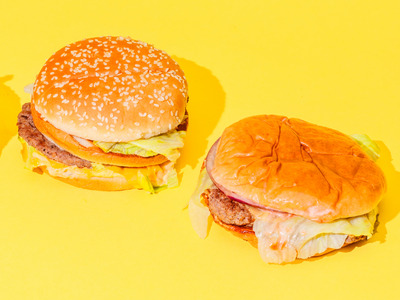 McDonald’s and Wendy’s have a beef over fresh beef. On Monday, McDonald’s announced it had completed its rollout of fresh beef Quarter Pounders across the US. 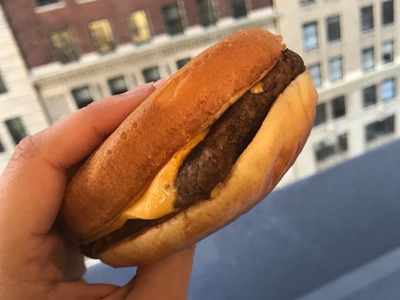 Wendy’s, long the fast-food king of fresh-beef burgers, fired back at its rival soon after McDonald’s announced its plans to debut fresh beef, posting a string of tweets highlighting the fact that McDonald’s didn’t say it planned to switch to fresh beef for all its burgers. Kurt Kane, Wendy’s head of concept and marketing, told Business Insider that “you shouldn’t have to use a decoder ring to figure out what quality you’re going to get” when you order a burger. Kane also said that having tried one of McDonald’s new burgers, he wasn’t worried about Wendy’s customers ditching the chain for McDonald’s new Quarter Pounders. So we decided to conduct a taste test of our own. Here’s how McDonald’s fresh-beef Quarter Pounder matches up against Wendy’s Dave’s Single, made with fresh – never frozen – beef. Up first: McDonald’s. I was able to try the new fast-food burger during a media event — and I was impressed by what I found. The only change in the burger, according to executives, is the fresh beef. Everything else is exactly the same. McDonald’s says its beef prep simply requires slapping the patty on the grill and adding a bit of pepper. One advantage of fresh beef is that it cooks faster than frozen beef, meaning the new preparation style isn’t likely to slow down McDonald’s workers. Taking a bite, I immediately noticed the difference that fresh beef makes. Hotter, juicier, and finally freed of its mulch-like texture, the fresh-beef burger is a vast improvement over the old-school Quarter Pounder. I hadn’t realised how much of a handicap the texture of McDonald’s patties was to the chain’s hamburgers until I had a fresh-beef burger. 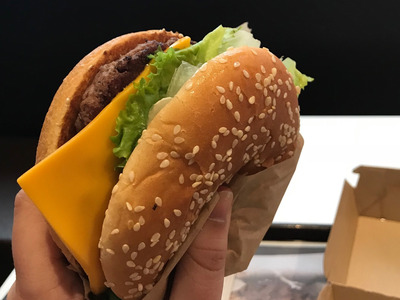 While the dryness of the burgers can be ignored on a Big Mac as other elements take the forefront, the Quarter Pounder is improved vastly by the beef upgrade. However, this is still a McDonald’s burger, with the chain’s signature flavour. 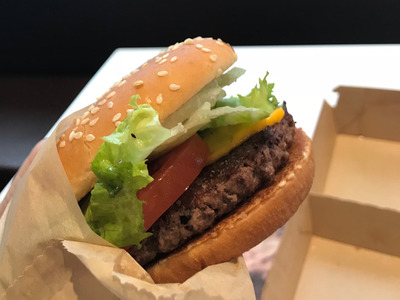 The closest I can come to describing the distinct McDonald’s flavour is to say that the new Quarter Pounder still tastes like McDonald’s smells, but a little bit better. So McDonald’s fresh-beef burger is better than its previous iteration. But is it better than Wendy’s? I tried the classic quarter-pound Dave’s Single to see. 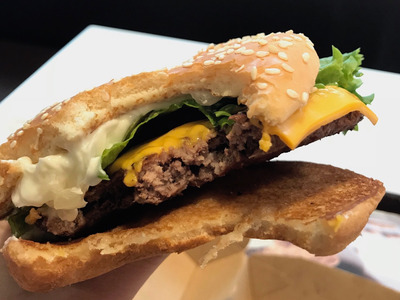 I did a poor job of ordering, so I ended up with a plain burger – just cheese and beef – but I figured that would allow the natural flavour of the beef to take center stage. Wendy’s burger didn’t need any toppings to top McDonald’s. The burger is, quite simply, that good. 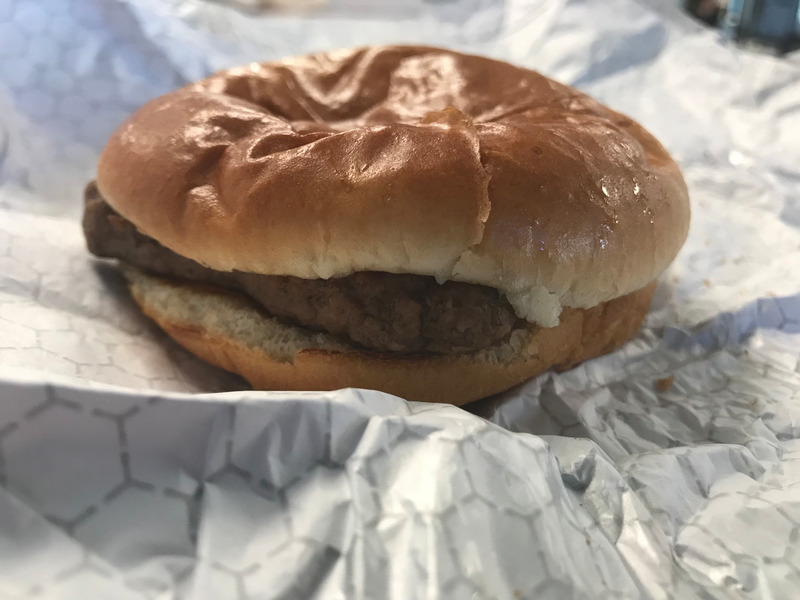 I’m focusing on the patties here – and Wendy’s fresh-beef patty reigns supreme. McDonald’s burger is juicier and hotter than its previous attempts, but Wendy’s is even juicier and hotter. Wendy’s burger embodies quality, while McDonald’s is simply an improvement on something that needed fixing. Maybe it’s because Wendy’s spent decades cracking the fresh-beef code, or maybe McDonald’s just needs to maintain its signature fast-food flavour. Whatever the reason, Wendy’s is still top dog in the latest fast-food-burger battle.